I feel compelled to tell you that I had a draft post ready to go entitled “Year Two of my Ketogenic Life”. One of the most popular posts here at Greymadder remains the Year One version. Over the past month, as I prepared to go for my six month MRI monitoring scan, I started drafting the list of things I’ve learned after more than two years of eating this way, of writing about it, of reading and researching topics around nutrition and cancer, and the metabolic side of cancer as a disease. During my mental composition time – usually while driving or showering – I thought about the people I’ve met online, the tendrils of relationship that have crept out from this blog to other platforms and into my real life. I thought about how I accidentally stepped right into the middle of quite a few “alternative medicine” and “quackery” debates, and how that made me re-examine the way I speak and the words I use in my writing. All of that thinking was a great exercise. Then I received my MRI results and learned that my tumour shows signs of progression on imaging. Since my diagnosis in the summer of 2012, I’ve had six MRI monitoring scans, which all showed the tumour was stable. I’ve been telling people, “we know that eventually we will get the news that it’s changed or grown, we know it’s not likely it would never grow”, but of course we all hoped we would never get that news. Because that’s how hope works, it reaches, sometimes heartlessly and viciously, for the unlikely. So now we place our emphasis on all of the skills we’ve been working to cultivate over the last three years – focusing on what the next step is that’s right in front of us; knowing that I am more than this tumour, it does not define me or occupy my whole life; accepting help and updating everyone who cares for me; maintaining calm and mindfulness; caring for my mind and body; spending time in the world and with loved ones; scheduling my own quiet time. One step at a time. Not easy, because now I am in flurry of appointments and doctors and plans. But I do so love to be the center of attention! 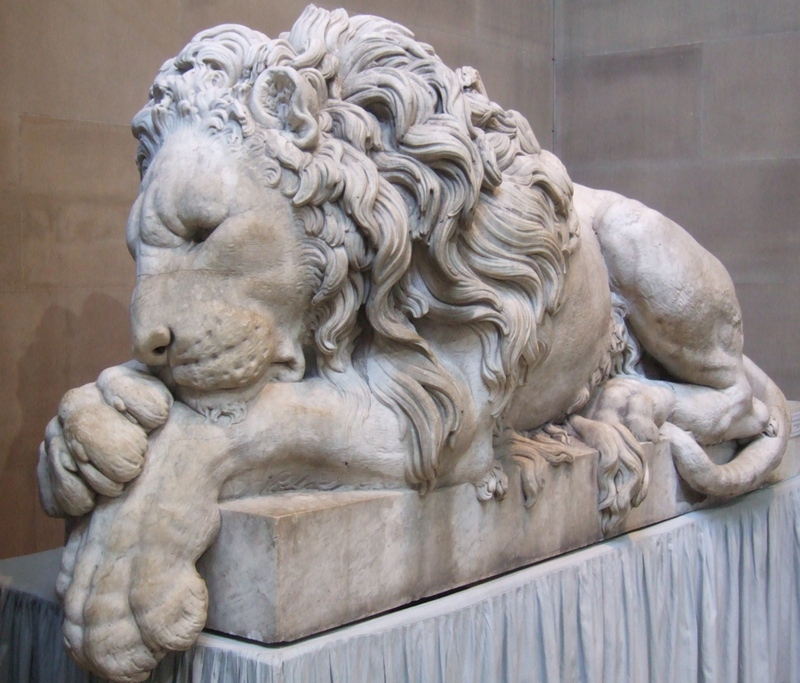 Image attribution: CC by 2.0, Ben Sutherland, Sleeping lion. I have a brain tumor as well and i have been on a ketogenic diet for the past 4 years. And my tumor has been dying from the inside out. Congrats on the stability of yours. What type of tumor do you have? Sorry to hear about the apparent progression. For some context, can you tell us what therapy program you’ve been following recently, and what if any adjustments you have in mind? I suspect you are pretty well connected to the cancer-as-a-metabolic disease community, but there might be one or two novel things to try. Thank you for the update. Wishing you well for the future. I heard you on Jimmy Moore a while back and was excited to hear you were in my own home province of Saskatchewan! It was a great conversation on LCC and one of their best shows. Thank you for your honesty and I am sending positive vibes to you. Thanks, nice to see a fellow Saskie! I am hoping for the very best for you. I have been following you for awhile, sorry to hear this news. But you have proven to be a true fighter and a very positive person. Best wishes to you! Thank you for sharing your journey with us, indeed it’s a challenge to be calm and present when we get news that our cancer is forging ahead. Even though I know it’s likely to happen, it always knocks me back when it does. We do our best with the keto diet and everything we learn about but this is sooo complex with so many factors within and without. I start each morning with, “Look to this day, for it is life, the very life of life…” and go from there. Strength and wisdom your way. I just signed up to follow your blog a few minutes ago, and therefore I have only read the last post about the progression. So maybe I´m just repeating something here that you allready looked into (and maybe allreday discarded). But just in case, have you looked into Dr. Burzynski’s Treatment with Antineoplastons? I don´t know if it is working or not, but I spend some of my time looking out for different approaches to treat cancers. I thought his treatment could be interesting in combination with your ketonic diet, since he seems to be especially interested in treating different kinds of braintumors. I only have watched the documentaries about him and do not really know what to believe. I also saw a home made documentary, done by a british couple to filmed the whole treatment for the womans braincancer, which seem to have worked (according to them and their brainscans). Just thought that IF this Dr Burzynski is on to something, maybe his treatment it could be used together with your ketonic diet for an extra powerful effect? Anyway, as I said, maybe you know about him allready, I´m just wondering if this “combination” of treatment, antineoplastons and ketonic diet, could work together? I will keep on reading on your blog, all the best to you! Thank you for reading. I encourage everyone to form their own opinions based on credible research. I don’t believe Burzynski’s programs to be of value for me, based on my research. Thanks for reading and taking the time to suggest it, though! Thank you for this update. I know it’s difficult to hold positive thoughts when something this scary has a hold of you and your mind. My own breast cancer took a turn for the worse a few months ago, so I feel like I know just some of what you must be sitting with. Please know that I wish you only the very best on this most difficult journey for you and those who love you. It is very courageous of you to allow us to journey along with you. Thank you. Thank you for sharing your good wishes, and I’m sorry for your tough road as well. Thanks for reading. Thank you for your brave, balanced update. I wish you well on your continued journey to be well. I look forward to your future blogs. Thank you for sharing all of this information! It takes a village’s bravery to do it — I can only applaud & commend you. I was diagnosed with astrocytoma II 6 years ago at 25 years old, got radiation therapy (was my only choice…), and embarked on a vaccine trial, and just this week, was told that my tumor progressed. That son of a gun! Going through all of your posts and absorbing the information which you have shared with the world wide web. I hope that this keto diet is the answer to our woes. Thank you so much for reading, and it’s nice to reach out and connect with you. Wishing you the best. Hi, sorry, I couldn’t get a message to go through to that address. Well, to be honest you’re not really doing anything about your brain tumour. A ketogenic diet would be the norm many years ago before bread. There are so many more natural very effective processes and food supplements you can take. The ketogenic diet is just the beginning, just going in the right direction..then you have to take some more effective steps ….